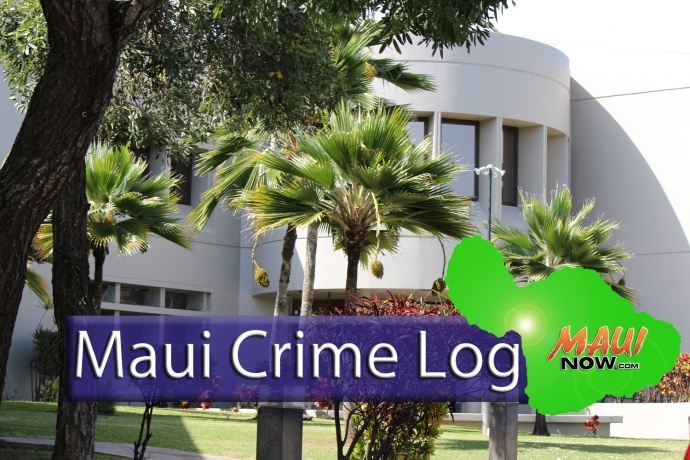 Maui crime log Jan. 27 to Feb. 2, 2019. Maui police responded to 11 burglaries, 14 vehicle thefts and 26 vehicle break-ins in Maui County over a seven day period from Jan. 27 to Feb. 2, 2019. 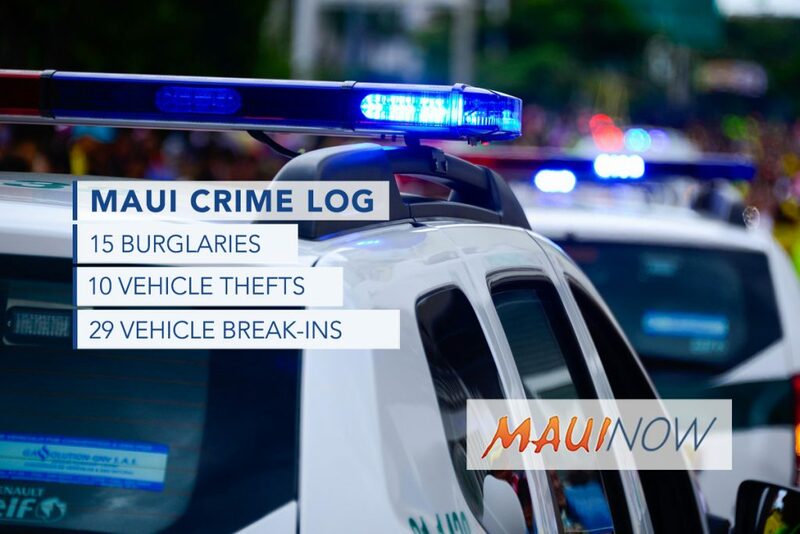 Burglaries were down, vehicle thefts remain unchanged, and vehicle break-ins decreased slightly from week before levels. Burglaries were down -21% from the week before when 14 incidents were reported over the seven day period. Vehicle thefts were unchanged from the week before when 14 incidents were reported; and vehicle break-ins dropped slightly -3.7% from the week before when 27 incidents were reported. Of the 14 vehicle thefts reported, three have since been recovered. Wednesday, Jan. 30, 12:05 p.m.: 400 block of Kūlike Rd, Haʻikū. Residential, unlawful entry. Saturday, Feb. 2, 2:47 p.m.: 800 block of Kokomo Rd, Haʻikū. Residential, forced entry. Wednesday, Jan. 30, 7:22 p.m.: 400 block of Pūʻolo Pl, Kahului. Residential, unlawful entry. Monday, Jan. 28, 12:43 p.m.: 1600 block of S Kīhei Rd, Kīhei at Sleepy Hollow. Non-residential, unlawful entry. Tuesday, Jan. 29, 3:20 p.m.: 1993 S Kīhei Rd, Kīhei at Island Surf. Residential, unlawful entry. Friday, Feb. 1, 7:47 a.m.: 100 block of Piʻilaniwahine Lp, Kīhei. Non-residential, unlawful entry. Tuesday, Jan. 29, 8:34 a.m.: 181 Lānaʻi Ave, Lānaʻi at Iwiʻole Apartments. Residential, forced entry. Tuesday, Jan. 29, 6:01 p.m.: 900 block of ʻŪpalu St, Waiehu. Residential, unlawful entry. Saturday, Feb. 2, 7:29 a.m.: 1100 block of Makaʻala Dr, Waiehu. Non-residential, unlawful entry. Thursday, Jan. 31, 5:17 p.m.: 1400 block of Kilohi St, Waikapū. Residential, unlawful entry. Friday, Feb. 1, 7:01 p.m.: 300 block of N Market St, Wailuku. Residential, forced entry. Wednesday, Jan. 30, 2:58 a.m.: 200 block of Kakaʻananeo Dr, Kāʻanapali. MNP122 2005 Nissan Sentra, maroon. Monday, Jan. 28, 4:58 a.m.: 100 block of Aiai St, Kahului. EE210 1995 Toyota T10, red. Wednesday, Jan. 30, 10:26 a.m.: 200 block of Hina Ave, Kahului at Hale Mahaolu ʻElua. LEG927 2004 Nissan Altima, silver. Friday, Feb. 1, 8:04 a.m.: 50 Vevau St, Kahului at Waterfront Apt. LBY107 2003 Jeep, green. 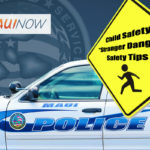 Saturday, Feb. 2, 12:31 p.m.: 310 Kaʻahumanu Ave, Kahului at the University of Hawaiʻi Maui College. EE180 1997 Honda CRV, silver. Sunday, Jan. 27, 6:12 p.m.: 200 block of ʻAilana Pl, Kīhei. 843MVM 2007 Suzuki motorcycle blue and white. Thursday, Jan. 31, 9:34 a.m.: 100 block of N Kīhei RD Kīhei at Nani Kai Hale. 207MVP 2013 Piag, gray and black. Friday, Feb. 1, 7:23 a.m.: 2140 ʻĀwihi Pl, Kīhei at Bay Vista Apts. 828MVF 2003 Yamaha motorcycle, blue. Monday, Jan. 28, 7:13 a.m.: 600 block of Kai Hele Kū St, Lahaina. MRS678 2007 Ford Explorer, silver. Wednesday, Jan. 30, 10:42 p.m.: Honoapiʻilani Hwy / Wahikuli Rd, Lahaina at beach area next to pump house. LHK017 2017 Ford ECP, silver. Thursday, Jan. 31, 11:47 a.m.: 3000 block of Liholani St, Pukalani. LHN511 1992 Toyota 4Runner white. 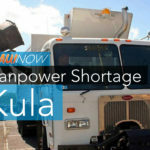 Monday, Jan. 28, 10:36 a.m.: 200 block of Waiehu Beach Rd, Wailuku at Manaloha Rent-a-car. NWU396 2015 Toyota Highlander, black. Monday, Jan. 28, 10:48 a.m.: 200 block of Kawaipuna Pl, Wailuku. DP902A 2004 Mini Cooper, gray. Thursday, Jan. 31, 10:42 p.m.: Koapaka Ln, Wailuku. LBX040 1996 Honda Civic, white. Sunday, Jan. 27, 12:38 p.m.: 4111 Hāna Hwy, Hāna at Hāna High and Elementary School. 0 Toyota Tundra, white. Sunday, Jan. 27, 12:38 p.m.: 4111 Hāna Hwy, Hāna at Hāna High and Elementary School. 2006 Toyota Tacoma, blue. Sunday, Jan. 27, 7:25 p.m.: 65 Kaʻahumanu Ave, Kahului at Kahului Shopping Center. 2010 Ford Explorer, white. Monday, Jan. 28, 8:21 p.m.: 170 E Kamehameha Ave, Kahului at Safeway. 2016 Dodge R25 white. Thursday, Jan. 31, 7:21 a.m.: 400 block of Molokaʻi Hema St, Kahului. 2007 Kia, blue. Thursday, Jan. 31, 1:01 p.m.: 214 Hoʻokele St, Kahului at Lowes. 2003 Toyota Tacoma, green. Friday, Feb. 1, 10:08 p.m.: 300 block of S Lehua St, Kahului. 2009 Nissan Maxima, white. Tuesday, Jan. 29, 3:27 p.m.: 13800 Kahekili Hwy, Kapalua at Nākālele Point. 2016 Dodge Durango, black. Thursday, Jan. 31, 6:47 p.m.: 2136 Konou Pl, Kīhei at Kīhei Manor. 2000 Ford Ranger, white. Thursday, Jan. 31, 8:03 a.m.: 2800 block of ʻOhina St, Kīhei. 1980 Chevrolet ELC, gold. Saturday, Feb. 2, 10:12 a.m.: 811 S Kīhei Rd, Kīhei at Koa Resort. 2019 Toyota 4Runner, gray. Monday, Jan. 28, 12:57 p.m.: 100 block of Puakea Pl, Kula. 2001 Toyota Tacoma, silver. Sunday, Jan. 27, 10:23 a.m.: 820 Olowalu Village Rd, Lahaina at Olowalu Store. 2014 Toyota Prius, gray. Tuesday, Jan. 29, 8:39 p.m.: Dickenson St / Front St, Lahaina. 2017 Jeep Wrangler, silver. Thursday, Jan. 31, 11:56 a.m.: 100 block of Ulana St, Makawao. 2006 Ford F25 white. Saturday, Feb. 2, 11:09 a.m.: 100 block of Miner Pl, Makawao. 2002 Chevrolet C25, white. Wednesday, Jan. 30, 10:46 p.m.: 56 Hāna Hwy, Pāʻia at Pāʻia Municipal Lot. 2005 Toyota Soul, white. Wednesday, Jan. 30, 7:07 p.m.: 100 block of Hāna Hwy, Pāʻia at Pāʻia Municipal Lot. 2018 Nissan white. Sunday, Jan. 27, 3:12 p.m.: Hāna Hwy / Stable Rd, Spreckelsville. 2003 Honda Pilot, gold. Monday, Jan. 28, 11:34 p.m.: 100 block of ʻŌnaha St, Waiehu. 2007 Dodge R15, gray. Monday, Jan. 28, 6:34 a.m.: 800 block of Analio St, Waiehu. 2007 Cadillac CTS, gold. Monday, Jan. 28, 9:31 a.m.: 800 block of ʻŪpalu St, Waiehu. 2008 Toyota Tacoma, white. Tuesday, Jan. 29, 5:11 p.m.: 4406 Mākena Rd, Wailea at Polo Beach. 2017 Hyundai Element, white. Wednesday, Jan. 30, 7:38 p.m.: 200 block of N Market St, Wailuku. 2005 Honda CRV, silver. Thursday, Jan. 31, 4:50 a.m.: 300 block of N Market St, Wailuku. 1980 Toyota Tacoma, orange. Friday, Feb. 1, 7:59 a.m.: 1728 Wili Pā Lp, Wailuku at F&H Construction. 2017 GMC SRA white.